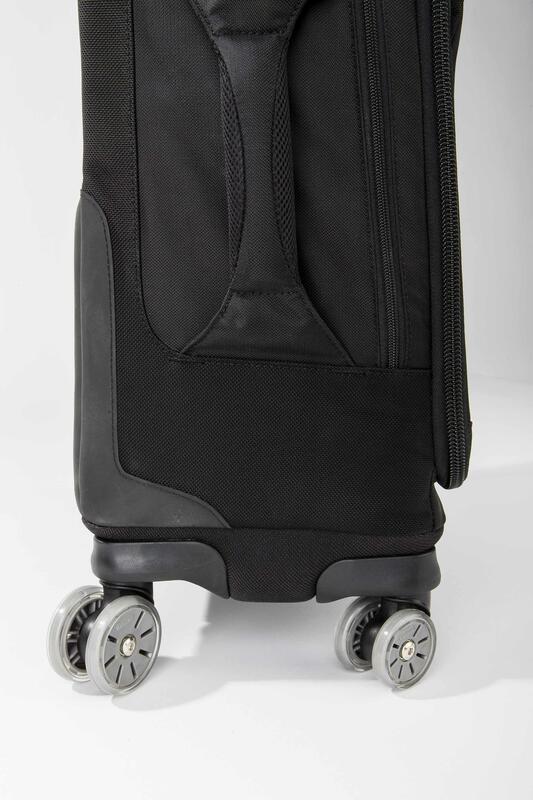 You can easily “skate” between people, obstacles and tight spaces when you're in a hurry, so common with air travel. 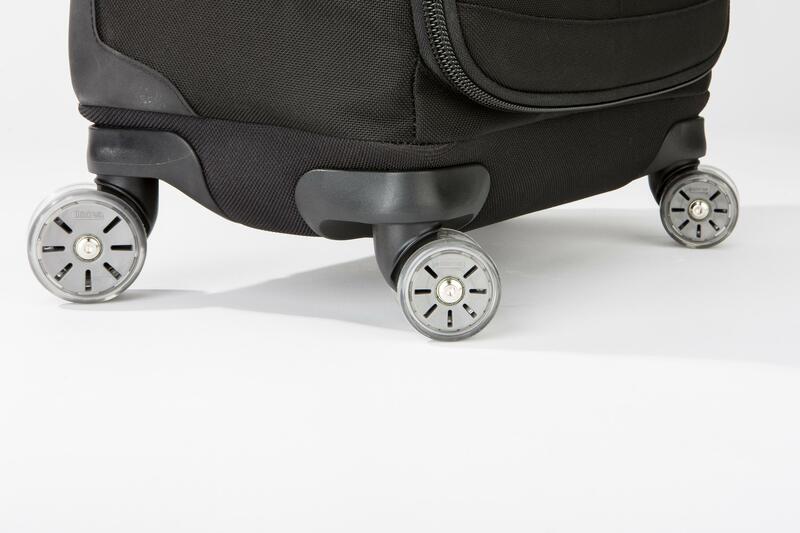 You can roll it upright at your side, tilt it to roll on its back wheels, or tilt it on its side wheels to roll through narrow airplane aisles. 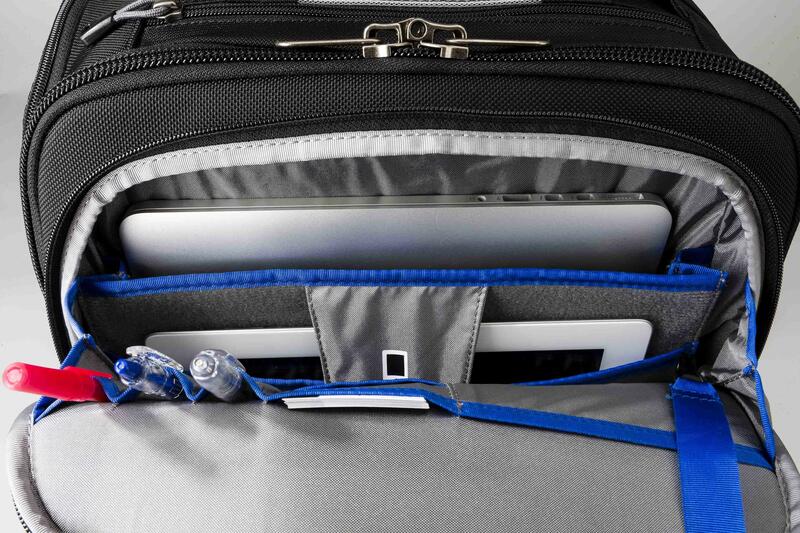 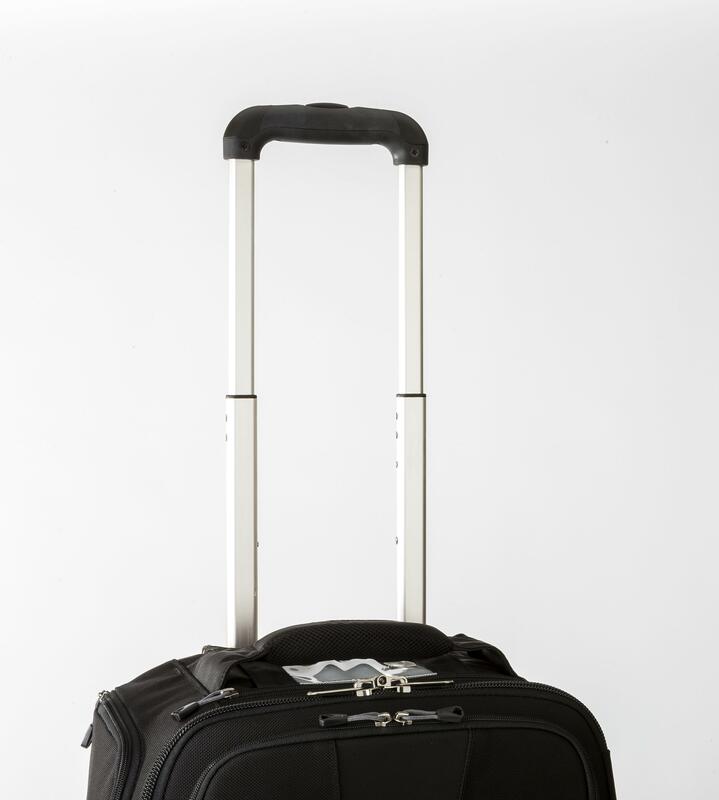 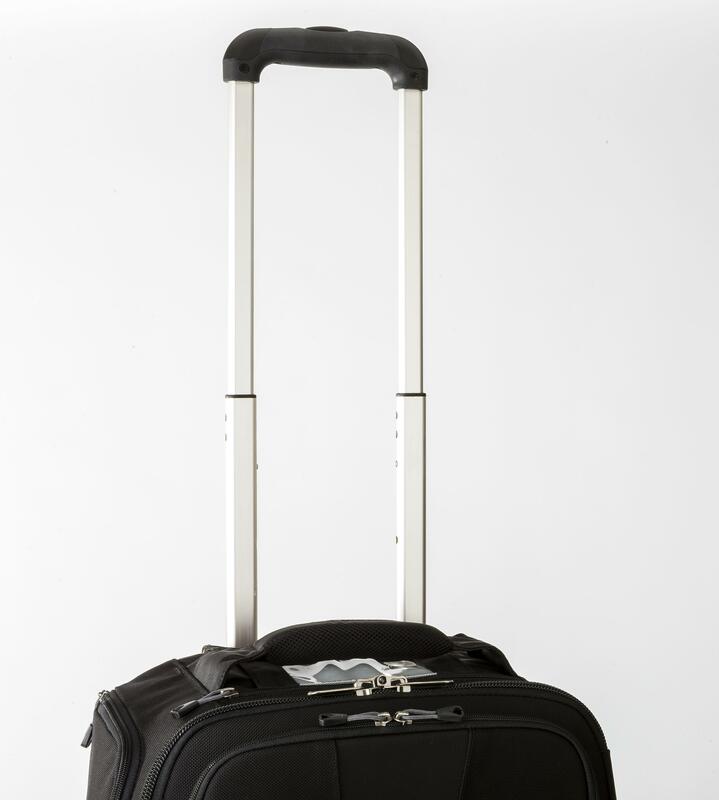 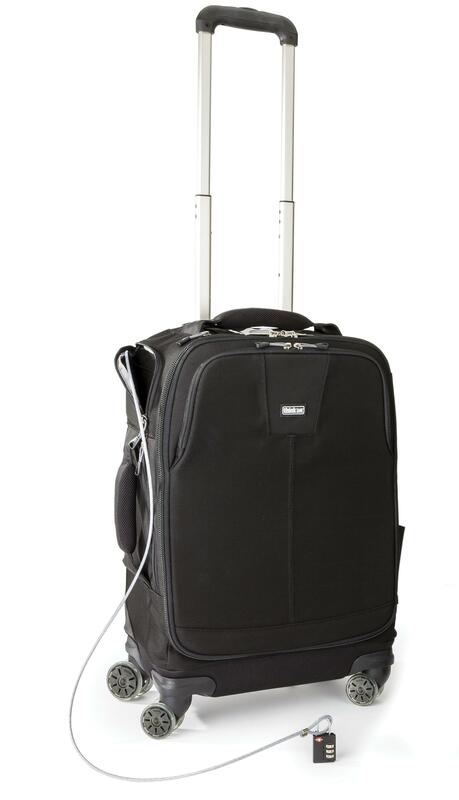 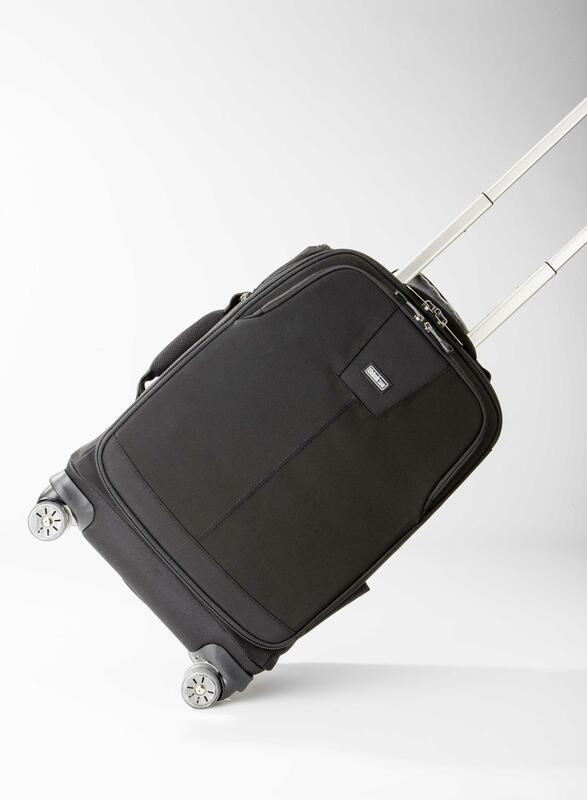 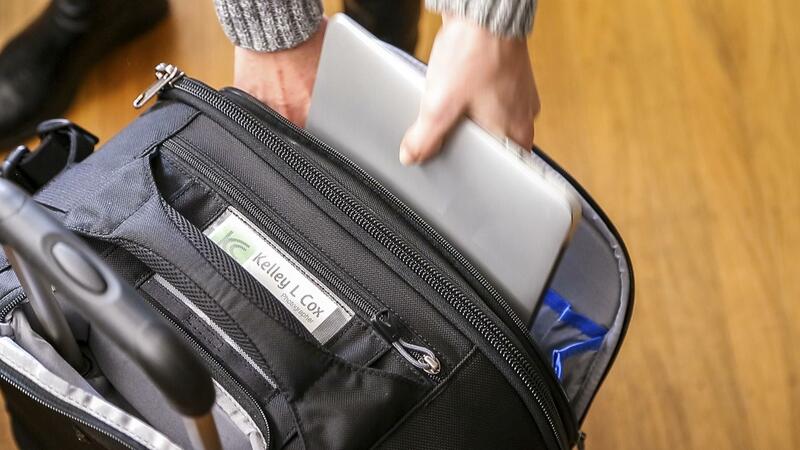 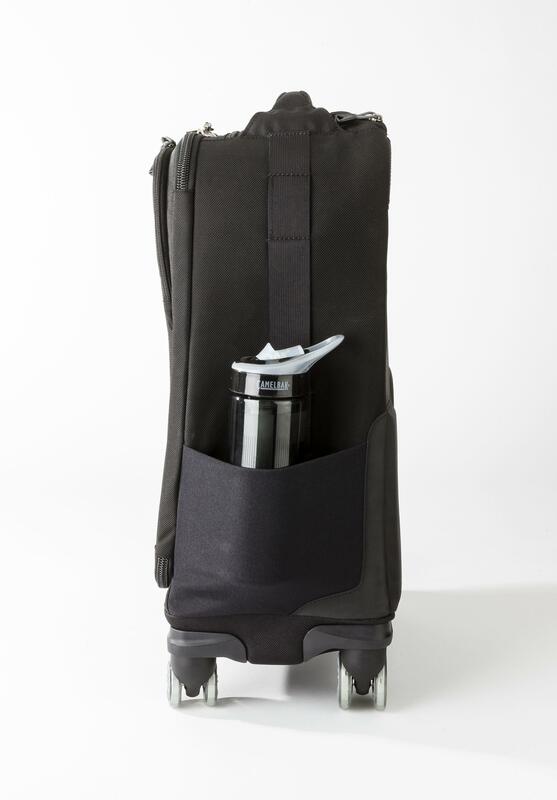 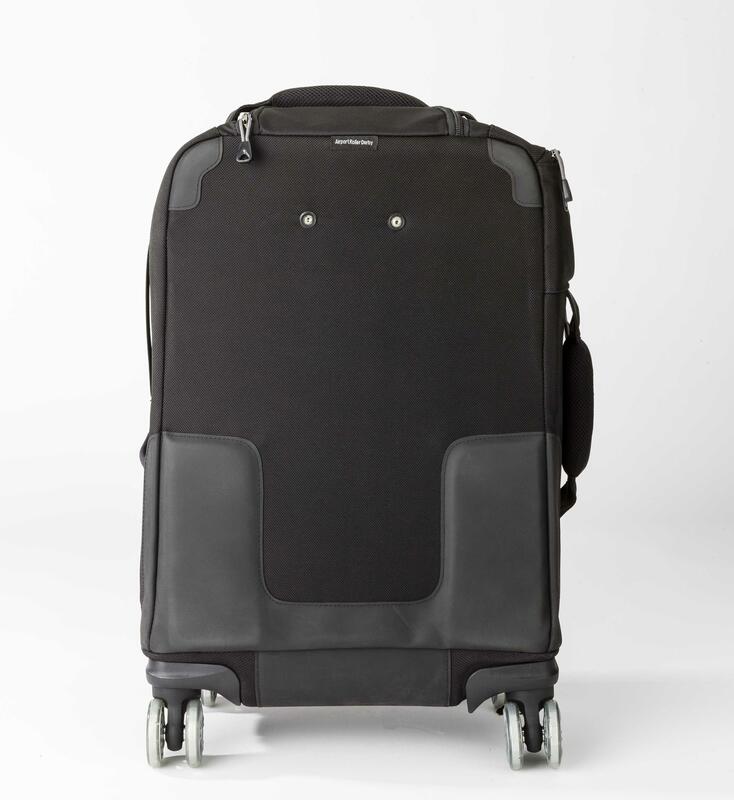 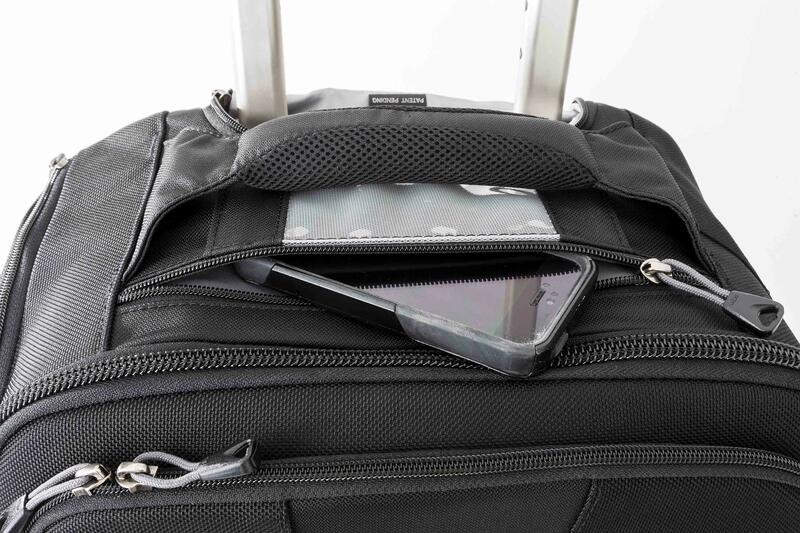 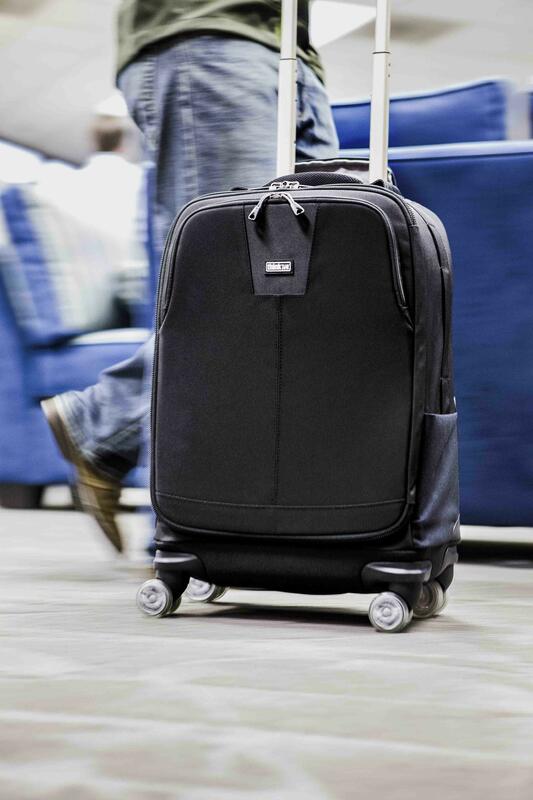 This roller includes 2 dedicated interior pockets for a 15” laptop, a tablet, plus it has a tripod mount. 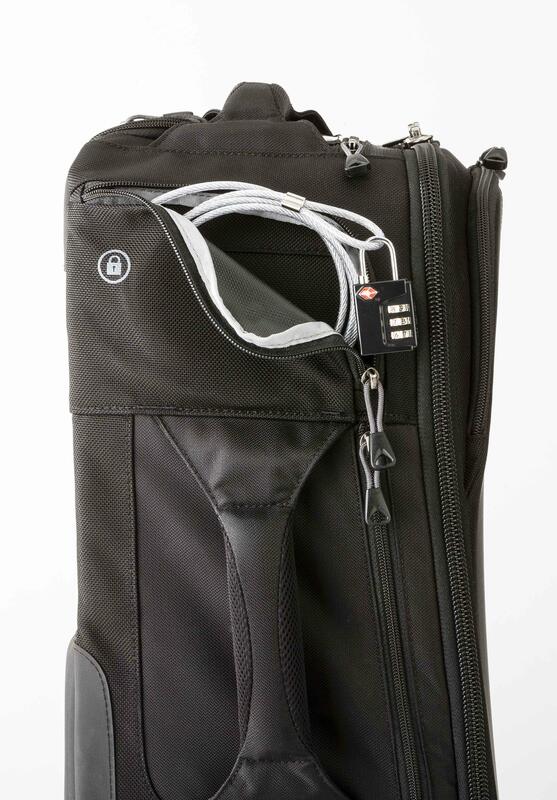 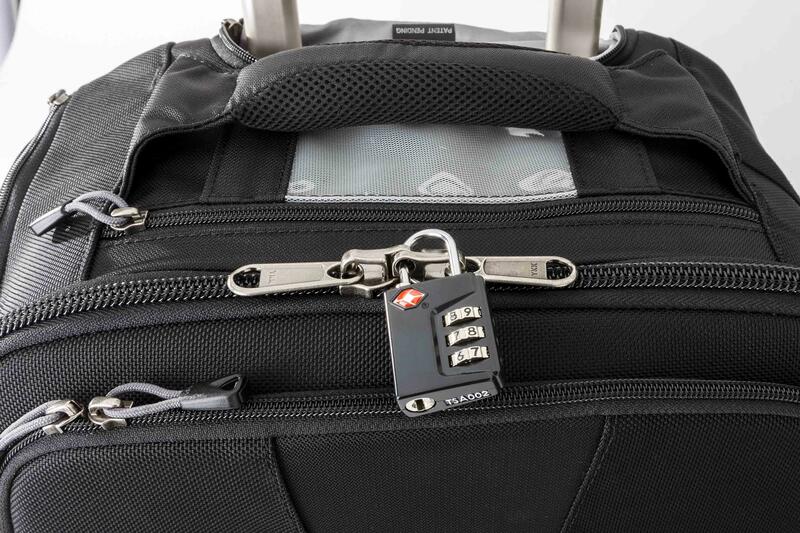 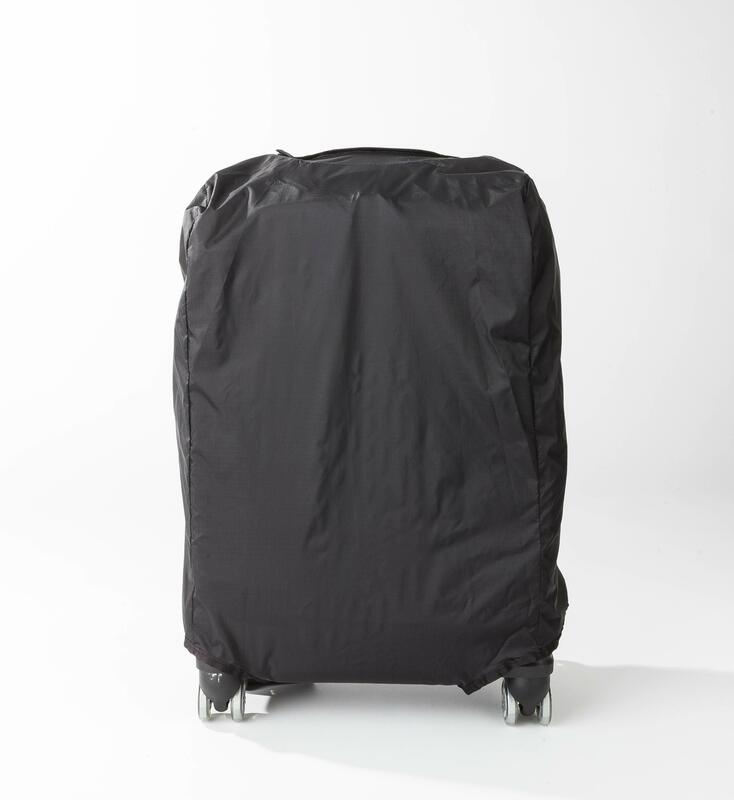 Its security features include a lock & cable and lockable zippers. 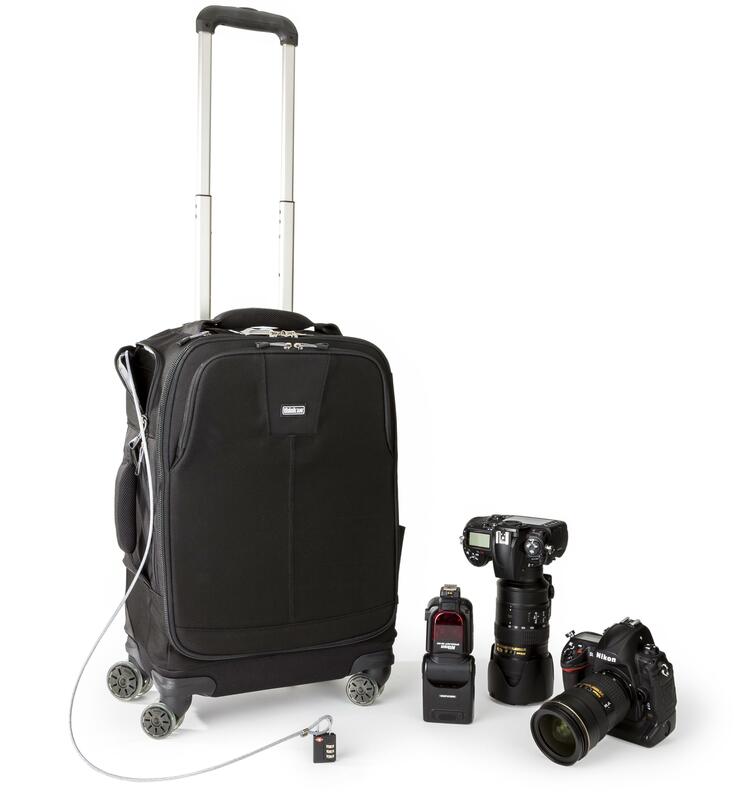 Ideal for domestic and international travel, as well as weddings and on-location assignments, this rolling camera bag's high-capacity provides easy access to 2 DSLRs, a tripod, laptop, multiple lenses, flash guns and more. 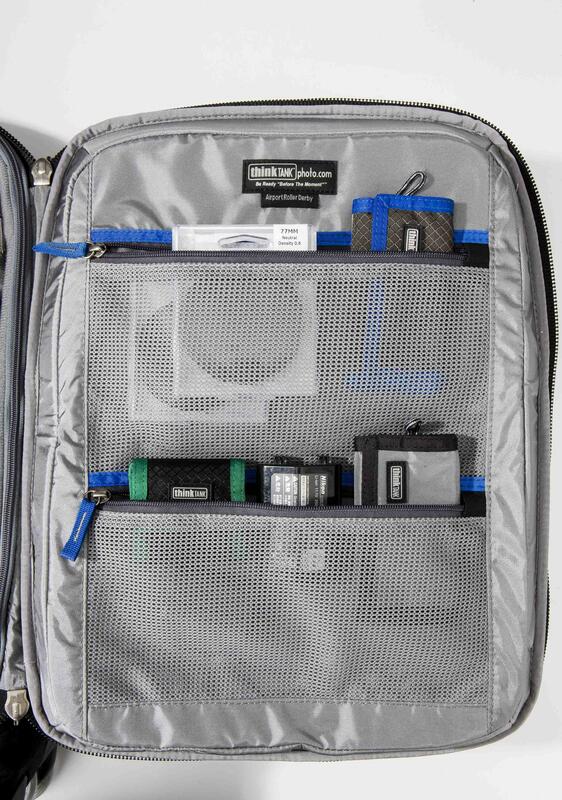 Fits a 15” laptop, a tablet, and up to 2 standard DSLRs with lenses attached or 1 pro DSLR and 1 standard DSLR both with lenses attached. 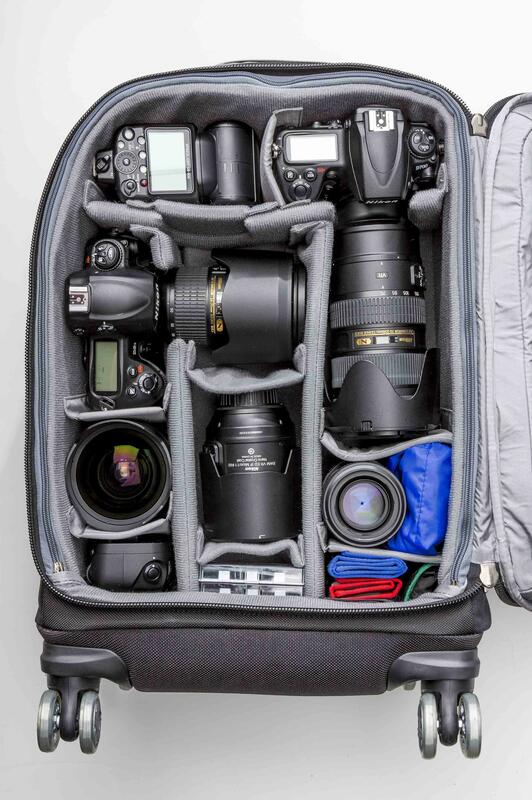 Fits 6–7 standard zoom lenses or strobes. 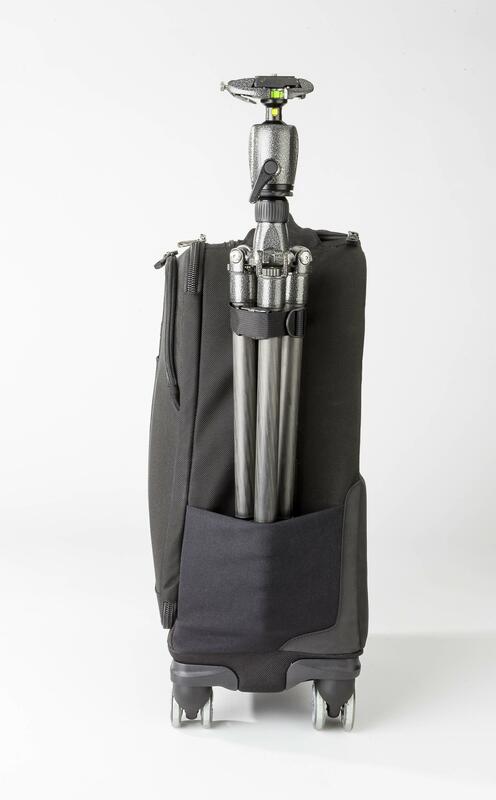 Accommodates a 400mm f/2.8 unattached.